Hi Everyone, this is a request for all those creators/scriptors, if interested. On my sim, I would love to have a bike rack with 4 or 5 set bikes, but when clicked a bicycle rezzes beside this for the avatar to ride around the sim. Once they jump off the bike, I would like it to self-cleanse and disappear. I would like to have the bike racks spaced around my sim to replicate what some cities do with the bike riding program. So I would like it to be copy-able. You would of course be free to then sell this object as part of you market items. Any takers? Thanks. If you wanna check out the rowboats and how the rezzer and self-delete cleaning works, pop over to our CELTICWORLD and try the rowboats. They're scattered about the world in various places.. near Newgrange for sure, and Stonehenge, a couple by Blarney Castle and the Whitamore Irish Cottage.. don't let the selkies scare you away, they're friendly enough. Though it does rain there like all the time! Thanks Shandon, I appreciate that. I will check out the row boats and get back to you. Much appreciated. 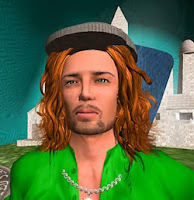 Hi Shandon, I just made a quick visit to Celtic World. I love the atmosphere and design. Yes, this rezzer and clean-up would be perfect. I will see if I can find someone to make a bicycle. I have made one but it looks a little too primitive, but I haven't given up. And I will explore your animation suggestion too. Incidentally I love the portals you use for teleporting. I should have used my map to check if this was a mega region of sims or spread across the grid, but could these be used within the sim as well as from sim to sim? If these are your creations are they for sale ? The portals are usable within the SIM, between SIMs, and even Hypergrid. I've never really cleaned up the scripting to make it pretty, though it is kinda cool cuz it lets you determine the direction your AVI is facing as well as location when landing. I'll fix you up with a boat rezzer/self-cleaner thingie too..
gonna put that on Kitely Market one of these days! anybody else reading this interested in any of this let me know..
btw - i also looked about for a bicycle for ya, and found a nice sculpty one, but it wasn't licensed for free use. Will keep poking about, probably one or more out there in HG land somewhere, i'm just not a very good hunter. AND.. Thank you for visiting Celticworld and the kind words. We love to get all the visitors we can!! Thanks Shandon. I very much appreciate your input and sharing. I have a few students who may like to visit your sim. it would be great for them to see these! Thanks.